We bloggers are often looking for special moments to share with our readers. But sometimes we may confound and darn right frustrate our pets. Katrina spends her days snoozing (more like snoring... like a sailor!) in a South Orlando house on a golf course. She gets two meals a day, treats, walks, beds and all the love she can handle. Katrina with Lt. Col. Mike Brasher. At 15, she's living on what her pet parents, Lt. Col. Mike Brasher and Melanie Brasher call "borrowed beagle time." It's a far cry from how she began her life. How much does Lulu like Rocky's Rollers? 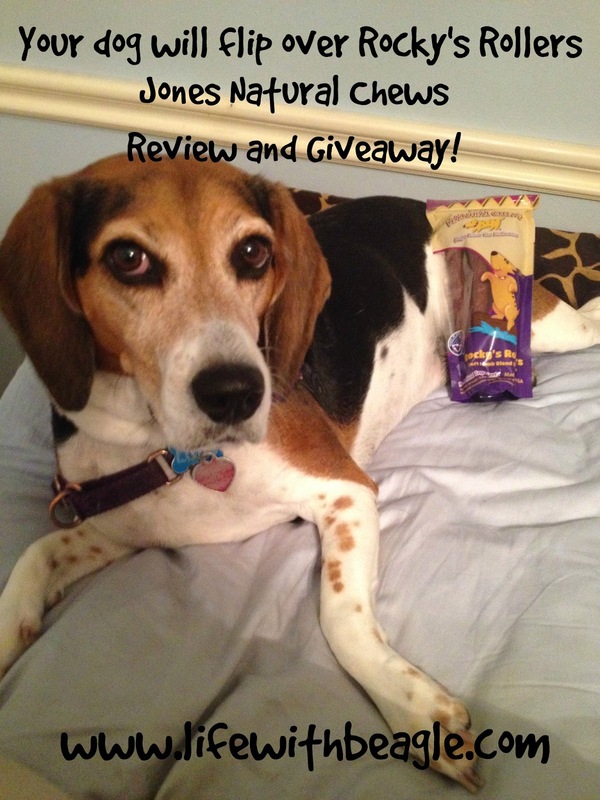 We first heard about these new treats from Jones Natural Chews while visiting their booth at Global Pet Expo. They gave me a sample -- long lamb sausage links. I gave one each to Lulu and Jasmine that week. Lulu did something I'd never seen before -- she pulled it from Jasmine's mouth! It's April 15! 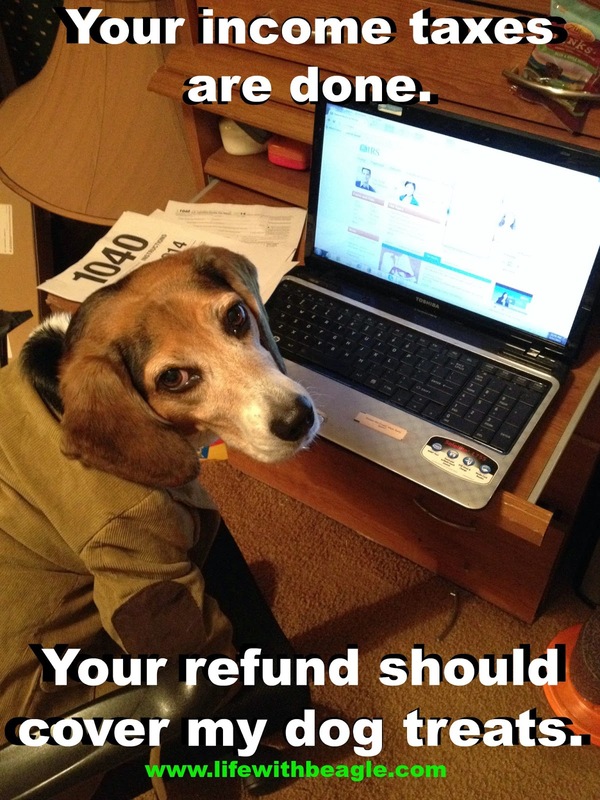 Have you filed your taxes yet? 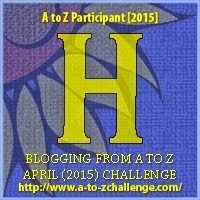 Today, H is for Harbor House of Central Florida in the A to Z Challenge! Last week we talked about domestic abuse and how it affects people and pets. This week I want to talk a bit more about Harbor House and the amazing work they do. Harbor House takes in domestic abuse survivors from all over Central Florida, but primarily Orange County. Sadly, Orange County has some of the highest rates of domestic violence in the state. G is for "Game of Thrones." The best show on television (disagree? TOUGH!) returns this Sunday. I can't wait, every third thought is something "Game of Thrones" related. And this blog post is something I've had in mind for a looooooong time! One of the reasons why "Game of Thrones" is so popular is how well the characters are drawn. Even when the characters have shadowy areas of their personalities, there are certain things you can pick out about them. It's the same with dogs. 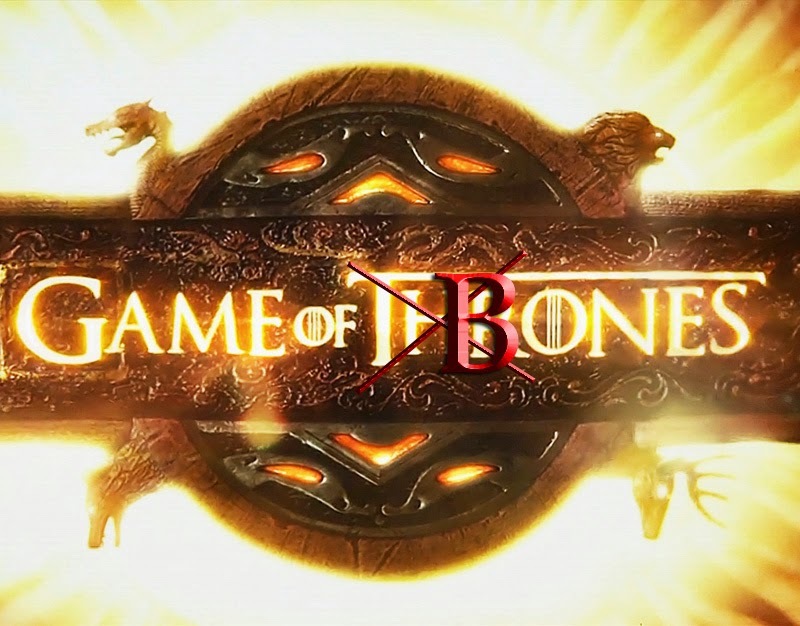 I present -- GAME OF BONES! 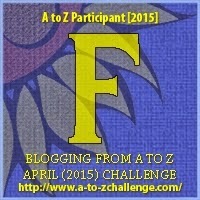 We skipped E in the A-Z Challenge because we had some technical issues. But we are back on F, with hopefully no more troubles. F is for fat. And it's a problem, not just because we have an obesity problem among pets, but because pet parents don't seem to realize it! This latest study was released just last month. The numbers are staggering -- 44 million dogs and 55 million cats are overweight and obesity. But it's the fat pet gap that is the most disconcerting. Ninety percent of overweight cat owners and 95 percent -- NINETY-FIVE PERCENT! -- of overweight dog owners say their pet is of normal weight. Now, we have the same kind of problem with humans as well, I guess, but it's worse with dogs. Just a couple pounds in some animals is dangerous, for all the reasons that being overweight is dangerous in humans -- arthritis, cancer, diabetes (at least directly in cats, indirectly in dogs). 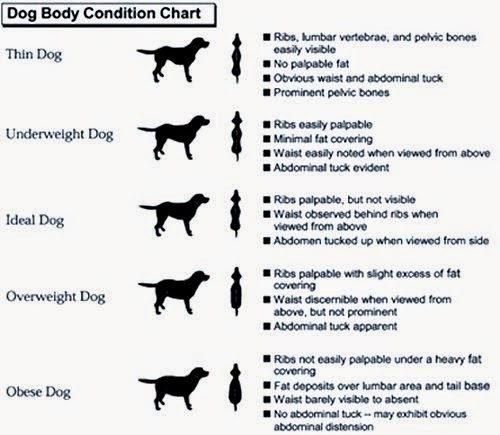 So, pet parents, here's a handy chart to help you get started on figuring out if your pet is the right weight. The Association of Pet Obesity Prevention has special charts to help you determine your breed's ideal weight. They also have an interesting chart that explains the calories in some of the most popular pet treats. Busy bones? A whopping 300 calories for a small/medium bone! But you could try something else -- veggies for instance are great for dogs. So are fruit. There are also some great low-calorie treats out there. Here's something else. If you are giving your dogs treats, you should also consider how much food you give your dog. If you're going to do a training day, for instance, with lots of high value treats, you might want to give you dog less food. And don't forget exercise. Not just a brief walk. It's good for you too! Today -- D is for a very serious issue: domestic abuse. When we think of that, we think of people abusing people they're supposed to love: men, women and children. Sadly some abusers will target a pet to keep an abuse victim from leaving. And sometimes, they do it just to hurt that victim. Pets get abused, some are even killed. 48% of survivors delay leaving an abusive situation for fear their pets will be maimed or killed. 88% of pets living in domestic violence homes are either abused or killed. Because of this, many victims will delay escaping a dangerous situation if they can't take their pet with them. Where I live in Orlando, FL, we are extremely fortunate. We have Harbor House of Central Florida. Harbor House is one of the few domestic violence shelters in the country to have an onsite kennel for the pets of domestic violence victims. The kennel opened in 2012. The kennel is 100 percent privately funded. Since it's opened it's saved dogs, cats, even a guinea pig. But they need help. That's why Saturday, April 26, we're walking to help raise awareness and money for Harbor House. 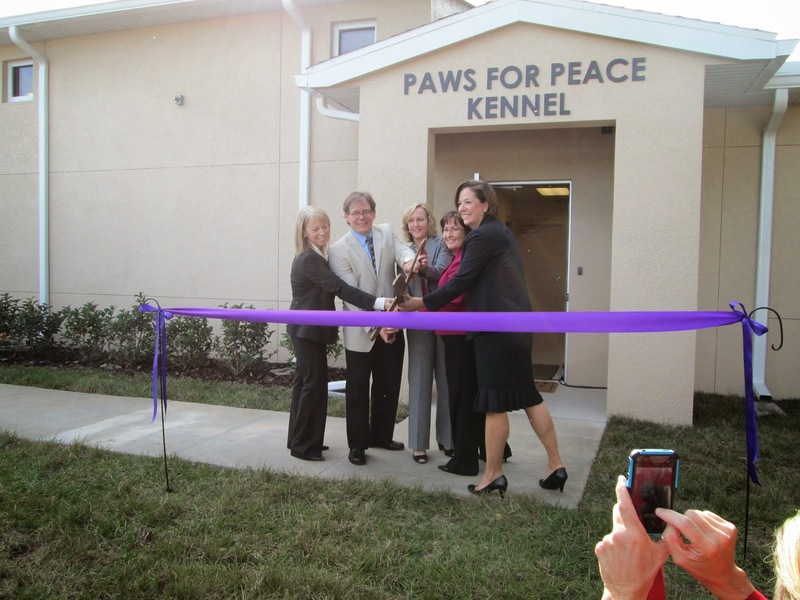 100 percent of the Paws for Peace Walk goes to Harbor House for its kennel! We'll be talking more about it this month. We hope you will join us, or help support Team Beagle in the walk! Lulu with friend Christine and Caleb at the 2014 Paws for Peace Walk. When it comes to beagles, cruelty-free is a topic that's near and dear to our hearts. Beagles are the top dog breed for researchers testing products from wonder drugs to laundry detergent. There's a worldwide movement to rescue those beagles from research labs. Beagle Freedom Project is one such organization. One way to help get the message out is to switch to products that don't test on animals. They're cruelty-free. They're lots of products out there, and you don't have to go to Whole Foods Market to get them either. Check out my cruelty-free guide to get some helpful tips. But there are also some apps that can help. Check them out. Leaping Bunny is a coalition of organizations who have created a specific "cruelty-free standard" that companies have to adhere to in order to get the Leaping Bunny stamp of approval. The app is free and available in the Apple app store and on Android. Find out more on the Leaping Bunny website. Cruelty Cutter is an app from Beagle Freedom Project. It catalogs hundreds of products (moreso than Leaping Bunny). While the app is not as stringent as Leaping Bunny, it's breadth of info gives readers a wide variety of products to choose from. The app costs $2.99 and is available in the Apple App Store and on Android. More information is on the Cruelty Cutter website. The Bunny Free app is a free app from PETA. It's similar to Cruelty Cutter and Leaping Bunny, but it's curated by PETA. It's available in Apple App Store and on Android. Animal research is just one of the big animal hot topics to consider when talking about animal cruelty. ASPCA Action is a magazine that will keep you up-to-date on all of ASPCA's actions. It's a free app. We are talking, of course, of ARROOOOOOOOO! But there's a special name for that sound. What is it, and what are the beagle sounds you should know? 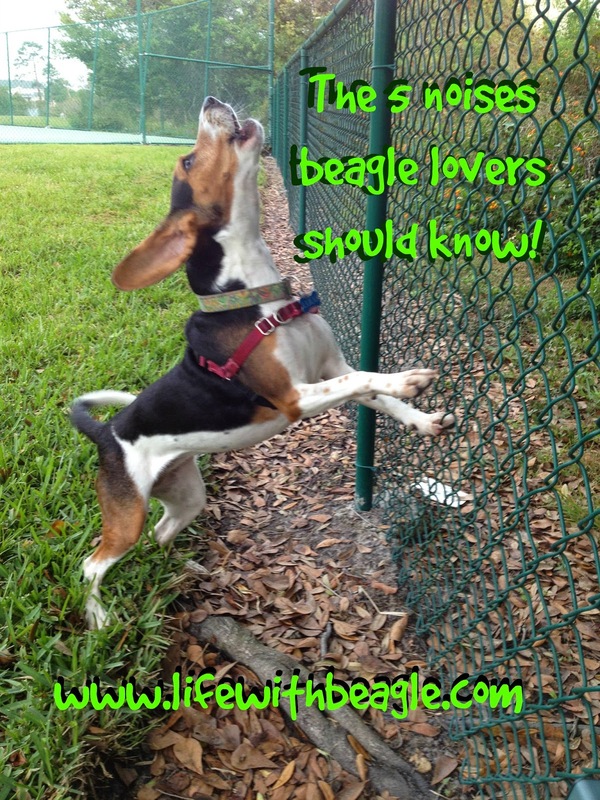 Even if your beagle isn't on the talkative side (and not all of them are), when they have something to say they have special ways of doing it. 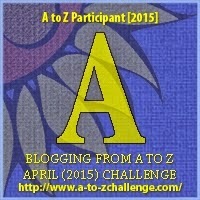 Today is the start of the A-Z Challenge! Today is A: for Almost Wordless Wednesday, and for Angry! FINE PRINT: Zuke's provided sample packs of treats, but I did not receive monetary compensation. I also received Jasmine's wig from Rubie's Costume Shop. The post, however, is my own.